Part of the challenge of Four Roses barrels is finding the recipe you like, then finding a store that has selectors with your taste. 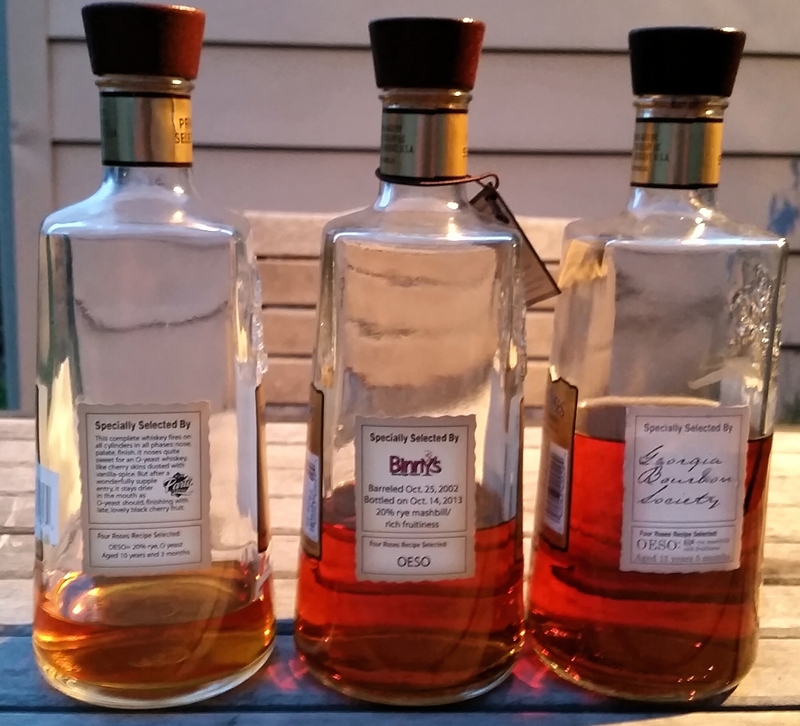 Aside from just this tasting and OESO, which stores (if any) do you think are better at barrel selection than others? Thanks for commenting! Binny’s is almost always good. Vine & Table outside of Indianapolis is usually good too, as is Spec’s in Houston & P & M in Elizabethtown, KY. Kahn’s (Indianapolis) and Cork n Bottle (Covington, KY) used to be good, but have fallen off in recent years.